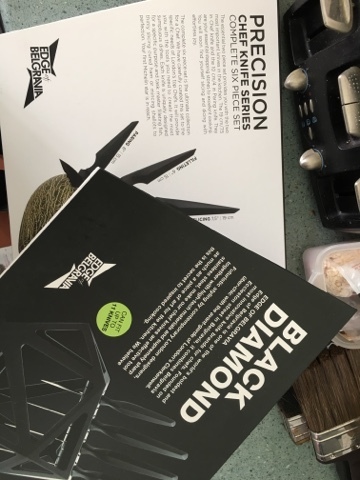 When I got a PR email from www.edgeofbelgravia.co.uk asking if I'd like to sample some posh knives I presumed I'd get one in a little box. We got this. 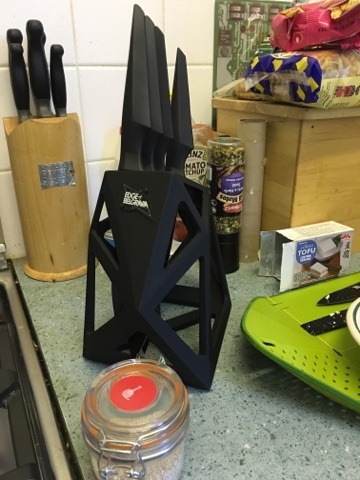 That is a giant box of knives and an interesting looking block to put them in! Amazing - if they are any good. The box is a little odd in shape - but inside everything is very secure and professional looking. Well - they do once you've figured out the fact that if you put the long ones on the high side the lovely sharp points hang out of the end! Not exactly safe, but fairly obvious and easy to rectify. 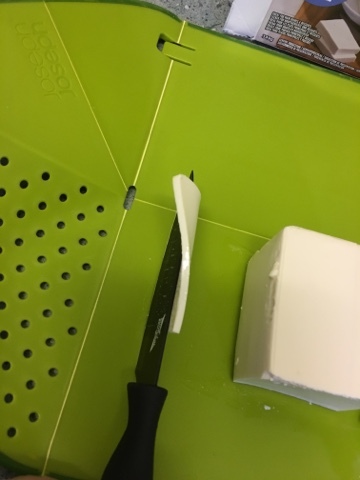 I whipped out the other box of tofu we got sent and set about carving the thinnest slices possible. 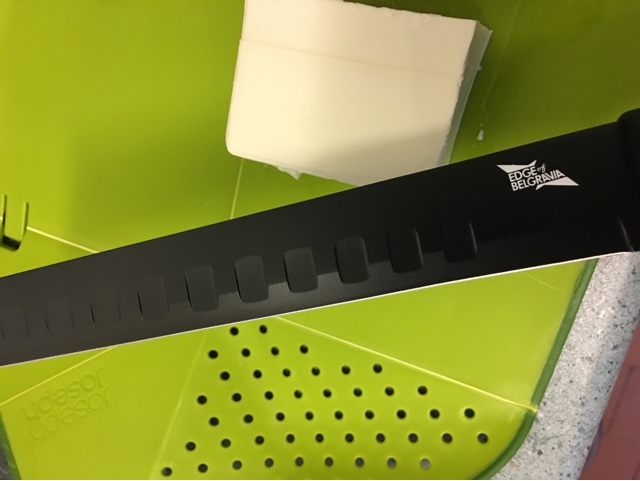 Any knife can cut something with firmness, finely slicing silken tofu without destroying it used to be hard. With the little knife it was effortless. These are razor sharp knives indeed. ...and it works! 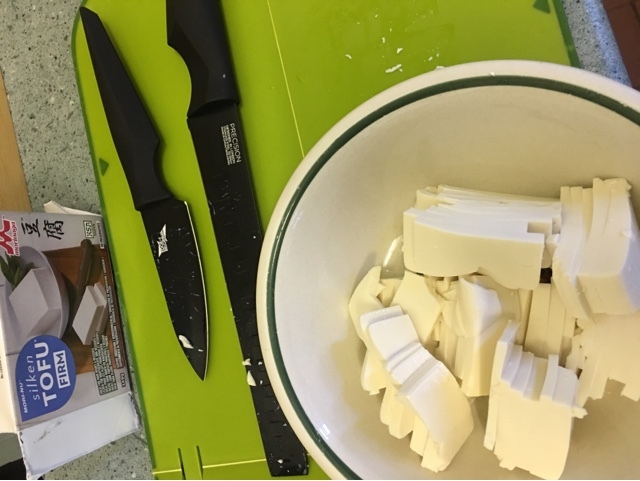 The tofu peeled naturally off the blade and I cut a variety of sizes just to experiment and was done in no time. All ready for the marinade! 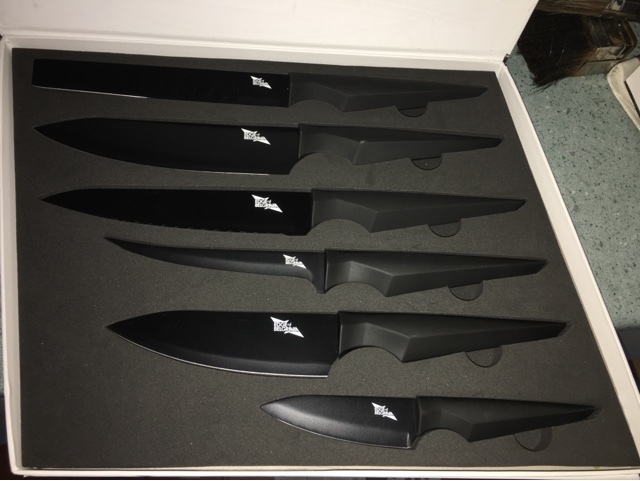 The block is as professional as the knives, it's really iconic and eye catching. It made me want to clean the kitchen. The old wooden set will have to find a new home. 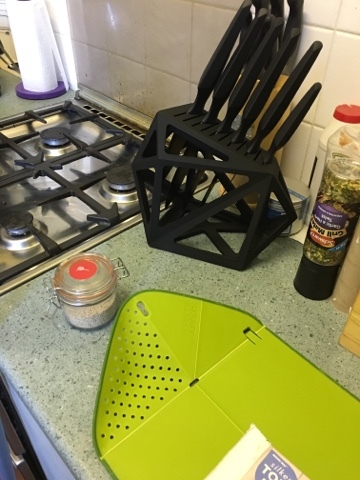 And if you don't fancy getting the block the knives themselves then the knives are pretty fab too, and we'll be using them in all our recipie reviews from this point on. And the box even has a handy storage suggestion ready for you. 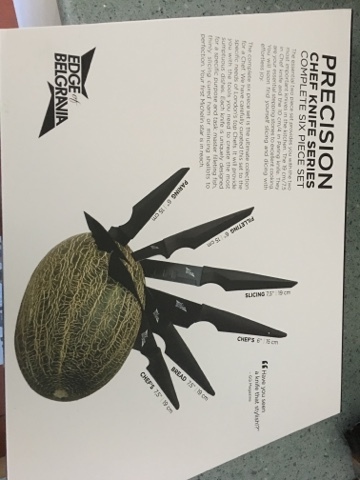 How sharp are your knives over time? Do you have to take an extra care of them?